It&apos;s the typical bright and sunny June 7 day in Southern California. But, writing this column is anything but cheery. You see, they buried Paul DeMayo this morning in Malden, Massachusetts, way before it was time to go. 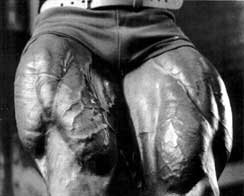 The man known as "Quadzilla", the 1994 NPC Nationals champion, was only 37 years old. Jay Cutler, who was told of the tragedy by a friend from the Boston area, phoned me Thursday evening, June 2, to share the sad news. Jay was told that DeMayo&apos;s father, Paul Sr., found his son lifeless in his bedroom that day, dead from an alleged drug overdose. Rumors of Paul&apos;s addiction to pain killers was wide spread; according to an official in the Medical Examiner&apos;s office, autopsy results were only available to next of kin. But, she did allow the fact that test results were not completed at that point and wouldn&apos;t be for 16 weeks. Ironically, DeMayo had left me a message just seven days earlier. We hadn&apos;t talked in a couple of years, but who could mistake that inimitable, Bostonian accent. "Hey L.T., you there? It&apos;s Quadzilla. I can&apos;t believe the guy that gave me my nickname isn&apos;t picking up the phone. I can&apos;t talk long... I&apos;ll call you back." That call never came. 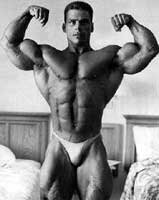 I first met DeMayo in 1988; he was a rising 20-year-old phenom and was flown out by Marty Demirjian to see a pro contest being held in Anaheim. 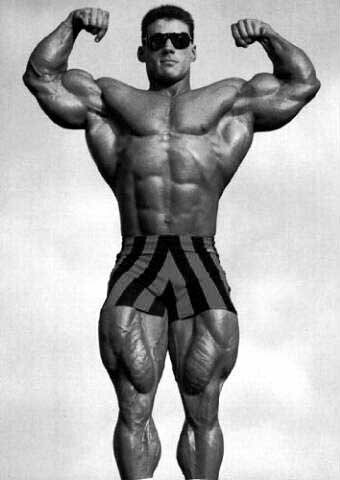 Paul was a likeable kid, with the most enormous quads since Tom Platz. A year later I saw him compete at the Junior Nationals in Memphis, Tennessee, where he finished fourth but showed tremendous promise. 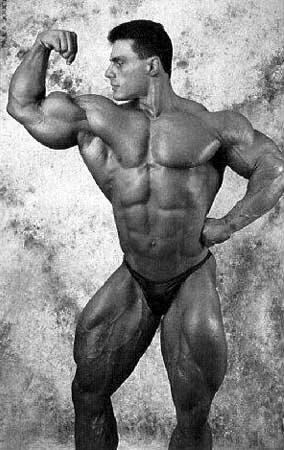 In 1991 he won that contest, held in Red Bank, New Jersey, besting an unknown newcomer by the name of Kevin Levrone. The side triceps shot he struck during a photo shoot that weekend with J.M. Manion still staggers me. Yes, he was known for his thighs, but his triceps were just as imposing. And, his biceps and calves weren&apos;t exactly chopped liver. Three months later DeMayo entered the Nationals in Pittsburgh, which, to this day, produced the finest Heavyweight class in the history of the event. Levrone earned his pro card this time around. Flex Wheeler was second, DeMayo third, Ronnie Coleman (yes, THAT Ronnie Coleman) fourth and Matt Mendenhall fifth. I tried to cheer up a bitter DeMayo at dinner after the contest. "I beat him (Levrone) at the Juniors, and now I finish third?" he lamented. Levrone and Wheeler were tremendous bodybuilders, I assured Paul, that placing only behind these two future pro icons was a triumph, not a disappointment. Paul eventually moved out to Venice and I often saw him and his wonderful girlfriend at the time, Jill. DeMayo would bring over the videotape of a football game where he scored three touchdowns as a hard running fullback at Malden High School. More than the scoring runs, Paul was most proud of the tackles he made on defense, and of the 42-yard field goal, and three extra points, he kicked en route to scoring all of his team&apos;s 21 points. I knew he was really proud of that experience, so we viewed the footage often. I took him to Brignole&apos;s Gym in Pasadena, where the crowd spent most of the time gawking at his colossal 5&apos;10", 275-pound physique. I still laugh when thinking about the first time Dallas Raines, a Brignole&apos;s member and weatherman on KABC television, saw Paul drop the baggies and hit a leg shot. 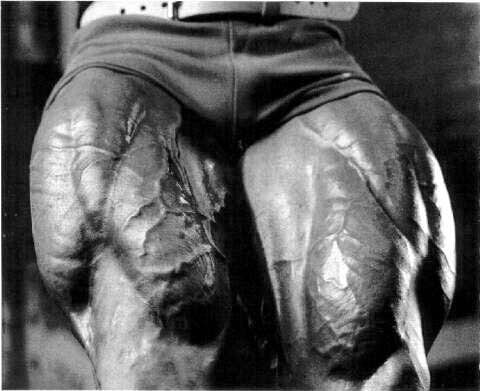 Is It Any Wonder Paul Was Known As Quadzilla? Raines jumped off the mat, rushed over to DeMayo, and asked, "How does that happen?" After working out, we&apos;d trek across the street to Paul&apos;s favorite eatery in the area, Goldstein&apos;s Bakery. Man, could Quadzilla down those bagels! His move to the Mecca, and Gold&apos;s Gym, was made to put him in the mix of it all; Paul felt the change of scenery was a necessary one to enhance his career. But, at the 1993 USA, held in Santa Monica, a depleted DeMayo was a distant third behind winner Chris Cormier and runner-up Michael Francois. Again, he was angry at the decision and announced to the crowd that awaited him at dinner after the show that he was ripped off. Again, I told him the judges made the right decision. He didn&apos;t like hearing my words, but think he respected my viewpoint. Paul moved back to Boston shortly after, and in 1994 finally won the coveted Nationals crown in Orlando, Florida. But, for a guy who had a MET-Rx contract, and a new Corvette to go along with it, the victory, strangely, didn&apos;t seem to lift his spirits. Not even shedding my shirt-and pants-and hitting a few poses at his victory dinner at a local restaurant seemed to lighten him up. It did cause the rest of the dinner party, though-which included his family-to hit the floor with laughter. Well, come to think of it, Paul busted up a tad himself. He had no idea someone could look that bad, even me. It was apparent Paul was having difficulties finding inner peace, and moving on to the pro ranks didn&apos;t fill the void. 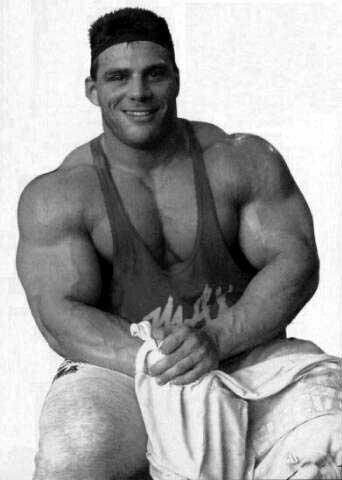 He made his Mr. Olympia debut in &apos;95, finishing 12th, and followed that up with a ninth place ending at the Spanish Grand Prix, a similar finish at the German Grand Prix, and a 10th place landing at the English Grand Prix. Not a bad showing for a rookie but, once more, DeMayo felt slighted. Beyond that, he never seemed fulfilled; he usually looked at the glass as half-empty rather than half-filled. Obviously, something in his life triggered that outlook. What that was is a question none of us can answer, unfortunately. He never competed again. He eventually lost the MET-Rx contract, and the &apos;Vette. He had split with Jill around that time, then shockingly got married to another lady shortly after. Domestic violence problems landed him in jail for a year and a half. I was told by several people from the area Paul had developed an addiction to the pain killer drug Percoset. The marriage was doomed. DeMayo moved back to California for a while about three years ago, settling in Orange County&apos;s Aliso Viejo. I invited Paul, and his girlfriend, out to dinner in Pasadena. It was great to see him again; he looked terrific. And healthy. Naturally, I had him take off the shirt and hit a biceps shot. Looked like he could step on a pro stage in about a month, and I encouraged him to get back into the action, hopefully securing a supplement contract in the process. I pushed the fact that, at 34, he was still young enough to succeed in the industry, that he still had the goods to make it big. I really wanted to see Paul be happy, for once. But, the bitterness over life&apos;s bad turns dominated the evening&apos;s conversation. He said he was a trainer at 24-Hour Fitness. I asked him about the addiction problem; he didn&apos;t deny it, but basically blew it off. Later, he told me he lost the position at the gym because he was training people on the side (a common practice, from my experience). I didn&apos;t talk to Paul much after that, but heard this relationship soon failed, and that he moved back to Boston. The last time I saw him was at Craig Titus&apos; Olympia After Party in 2003. We said hello, but not much else. Again, he looked good. I told friends I was worried about Paul in recent times. Seemed his life was spiraling out of control. And the drug rumors were getting scarier by the tale. He told people he was selling memberships at the Gold&apos;s Gym by Fenway Park; he didn&apos;t tell them he was let go a couple of months back due to ongoing substance abuse problems. His death is a tragic ending for a kid I really cared about, but couldn&apos;t help. It&apos;s been a crappy five days for any of us who knew Paul DeMayo. Sadly, he couldn&apos;t overcome his personal demons, whatever they were. But, that&apos;s over now, Paul. You are in a better place. Now you can finally rest in peace. Quadzilla, thanks for all the memories. Lonnie Teper, an award-winning journalist and emcee, has been covering the bodybuilding, fitness and figure scene for more than 20 years.